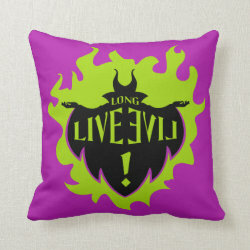 This is a logo design inspired by the classic Disney character Maleficent from Sleeping Beauty. 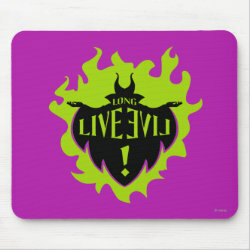 The character lives in Disney's hot property Descendants, as Mal's mother. 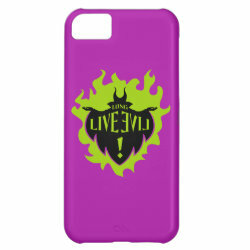 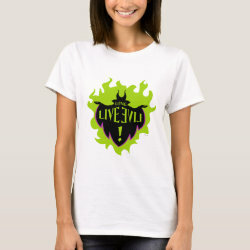 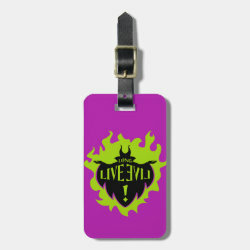 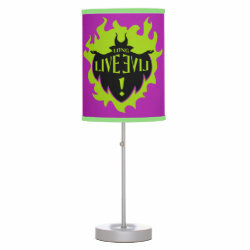 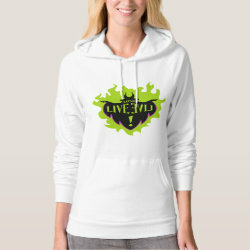 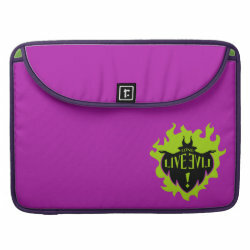 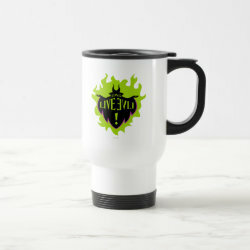 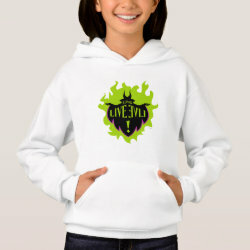 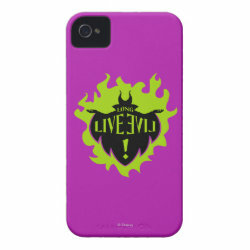 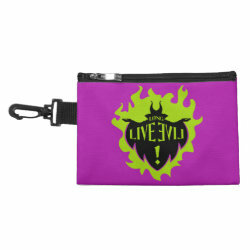 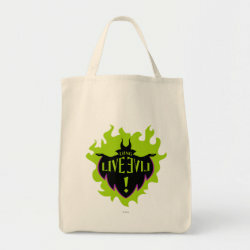 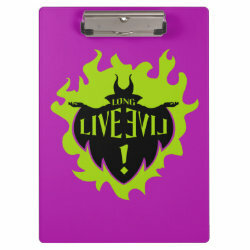 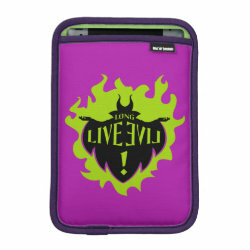 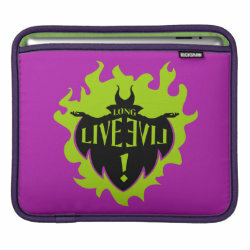 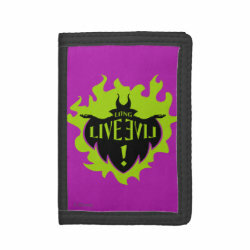 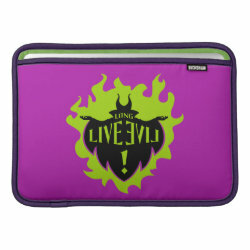 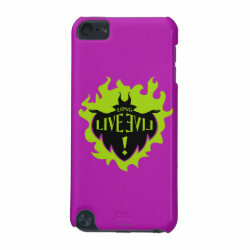 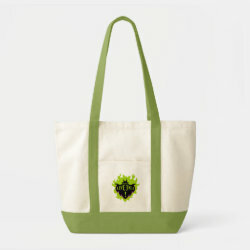 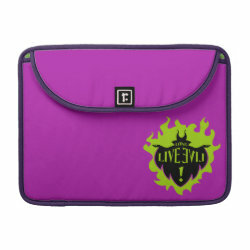 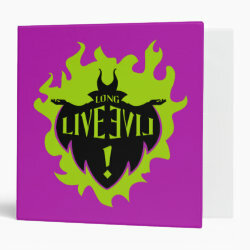 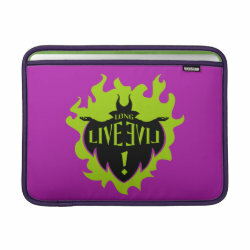 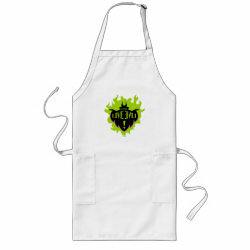 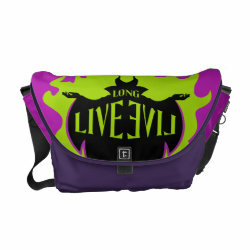 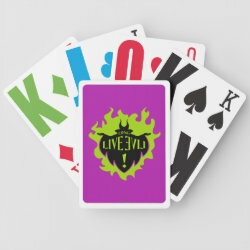 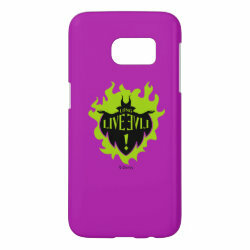 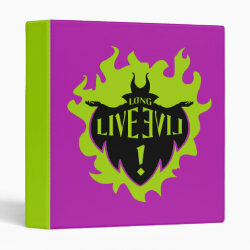 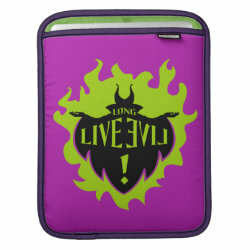 This is a graphic logo of Maleficent in silhouette surrounded by green flames against a plum background with the slogan "Long Live Evil".